Medical care is constantly advancing to improve efficiency, safety and comfort for patients. 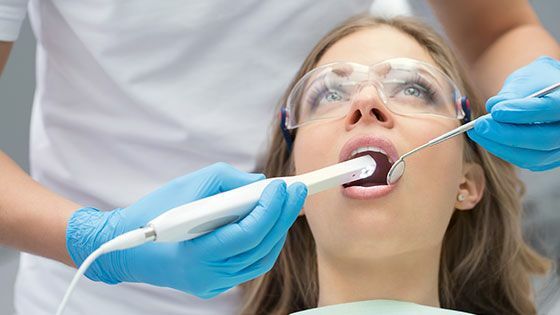 Dental technology is an excellent example of these advanced improvements, allowing for quicker diagnosis, safer procedures and reduced pain during treatments. At Blooming Smiles Dental Studio, we embrace dental technology that can benefit our patients and improve the level of care we provide. We believe that investing in the latest technology allows us to give our patients the best care in the Bloomington area. This innovative device helps reduce pain felt from injections during dental procedures by blocking the pain receptors in the brain. 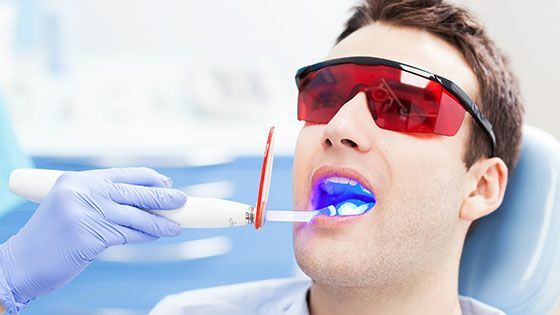 Advancements in laser technology allow safer, more precise cutting of soft tissue during dental procedures. The intraoral camera allows patients to view issues inside their own mouth for improved interactions during the diagnostic phase of exams. These are just a few of the innovations we use at Blooming Smiles Dental Studio to ensure our patients get the best care when they trust us to maintain their smiles. Dental technology allows us to do our job more efficiently, catching dental or oral health issues in the earliest stages. Equipment like DentalVibe makes dental care more comfortable for our patients, which is always one of our top priorities. It is our goal to always provide the highest level of care using the most advanced techniques and tools available in the dental industry. Blooming Smiles Dental Studio is your source for excellent dental care for the entire family in Bloomington. Contact our office today to learn more about all our services. We offer general, cosmetic, restorative and emergency dentistry using the latest dental technology.